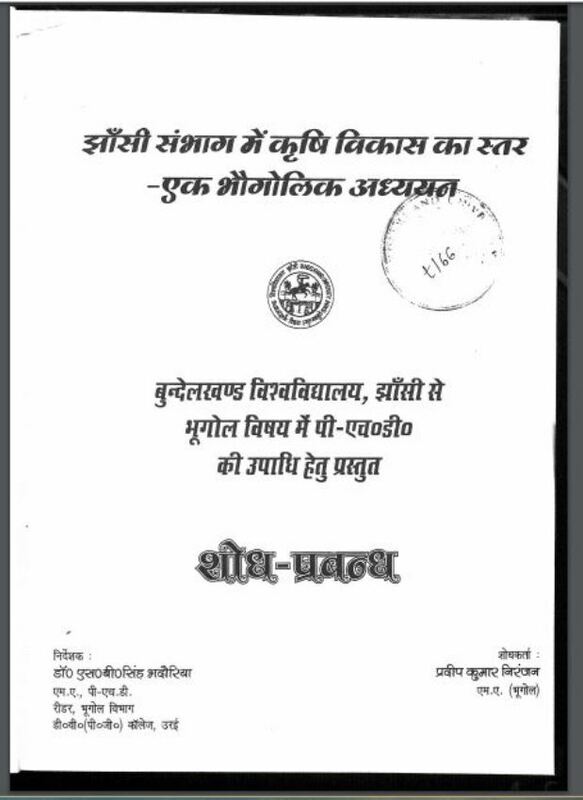 Description about eBook : There has also been a change in the level of agriculture in Jhansi division after independence. Agriculture of the division is also not insignificant due to the many rapid changes in India’s agriculture. Agriculture has increased not only in the mechanization of irrigation, the use of chemical fertilizers, the use of pesticides and other production seeds has increased…………….